“In life, a person will come and go from many homes. but that does not mean those places leave us. we make for ourselves in the world. Every Saturday afternoon we went to town, to Valley Head. In earlier times, my family had to walk. I walked a few times but was carried a lot more. 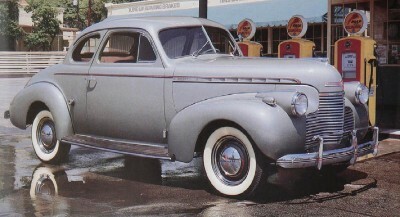 (We didn’t get a car until the mid-’50’s, a 1940 Chevrolet. We paid $300.00 for it.) It was a distance of about 2 1/2 miles “down the holler” or 4 miles on the road. Edith, Virginia, and Mason walked that many times with Dad and Mom. Usually all four of us went. (Dad, Mom, Mason, and I; by that time Edith and Virginia were married.) If she were extremely busy, Mom didn’t go, but that was rare. I really looked forward to those trips. It was a break in the routine and a whole lot better than the cornfield or the hayfield. It was a chance to see other people - there were many weeks that we did not see anyone from Sunday to Saturday. Of course, there were no telephones so we were pretty isolated.The trip to town might even result in a bottle of pop, a candy bar, or a Popsicle. It was an exciting day. In retrospect, I believe that Dad and Mom looked forward to the trip as much as Mason and I did. Mom went almost every week, and I can recall Dad not going only once. He had the flu. 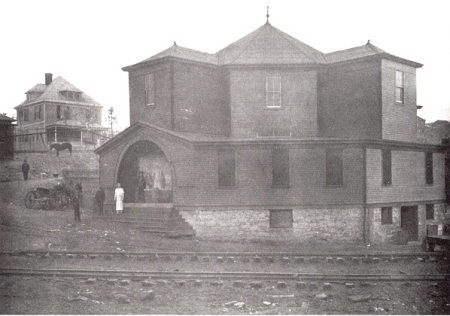 At that time, Valley Head was a thriving town. 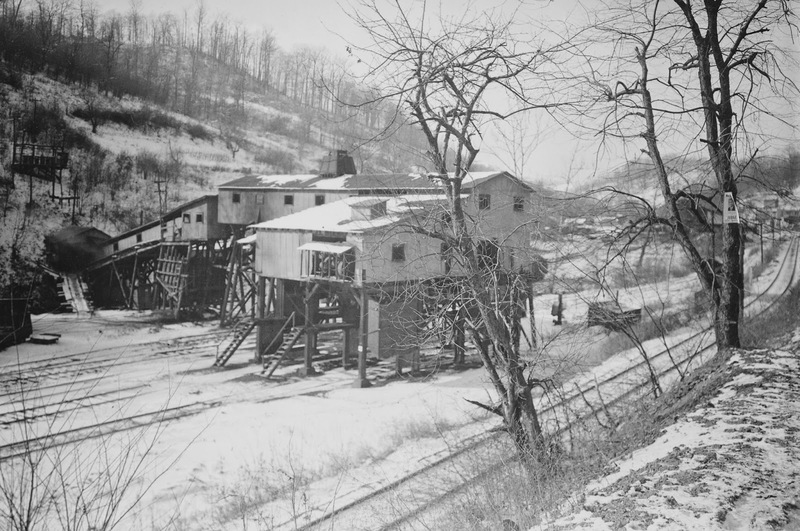 The Hickory Lick coal mine employed about 600 men at its peak. 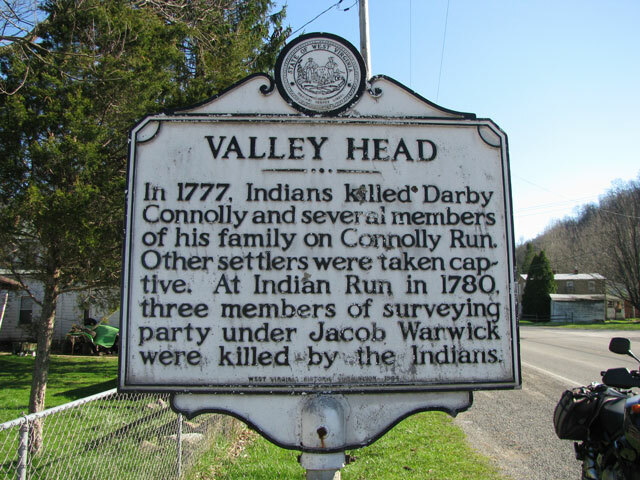 Most of them lived in the Valley Head area. 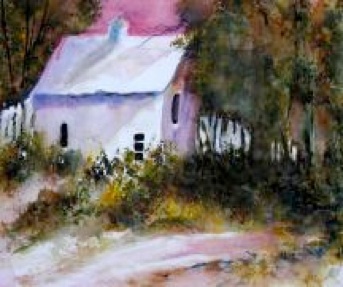 Valley Head was the home town for many small farms scattered around it. There were several logging jobs in the area at any given time. 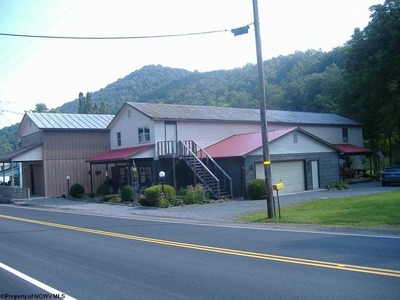 The town had 4 grocery stores, a restaurant, a garage, a blacksmith shop/grain mill, a beer joint, a state whiskey store, a barber shop, and two movie theaters. Now there is one store and restaurant combined. Our first stop was the grocery store. We patronized Hilborn’s until it closed. It was directly across the road from the post office. After it closed, we went to Lanta Ware’s store on Rt. 15 at the foot of Point Mountain. 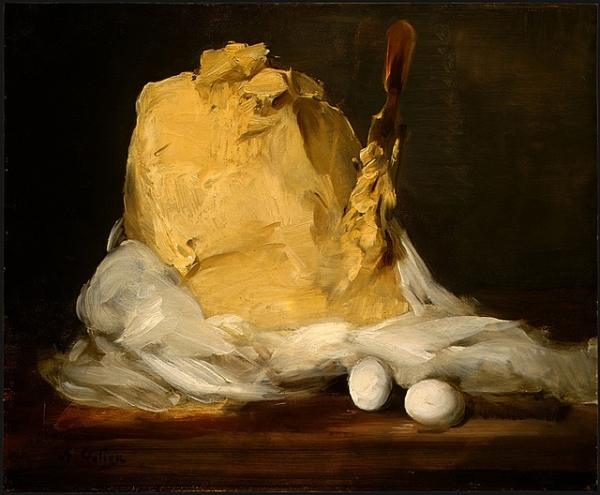 When we had extra eggs or butter, we took them to the store and received credit on our purchases. Any time we had more value in our eggs and butter than our purchases, we received a “due bill” showing how much credit was owed or due to us. 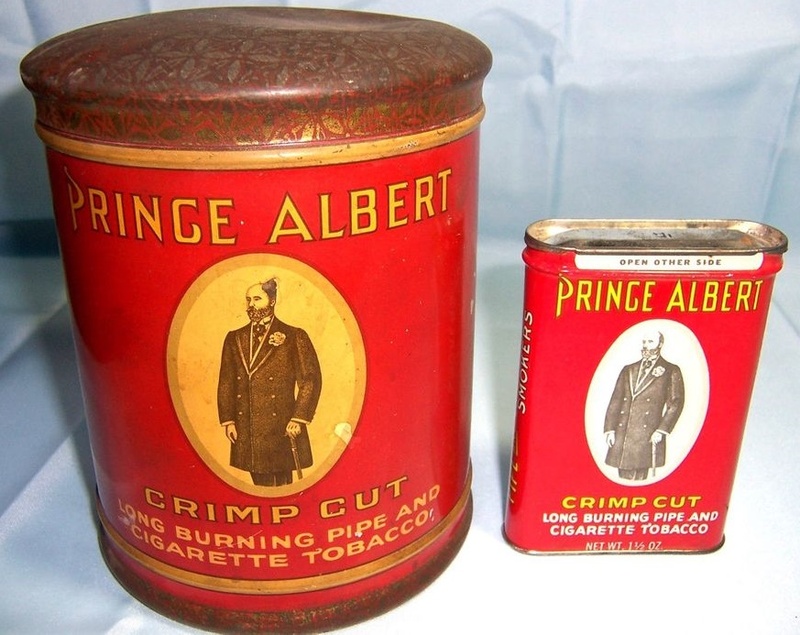 We typically bought cereal, salt, spices, and tobacco, Prince Albert pipe tobacco for both Dad and Mason and Beechnut chewing tobacco for Mason. 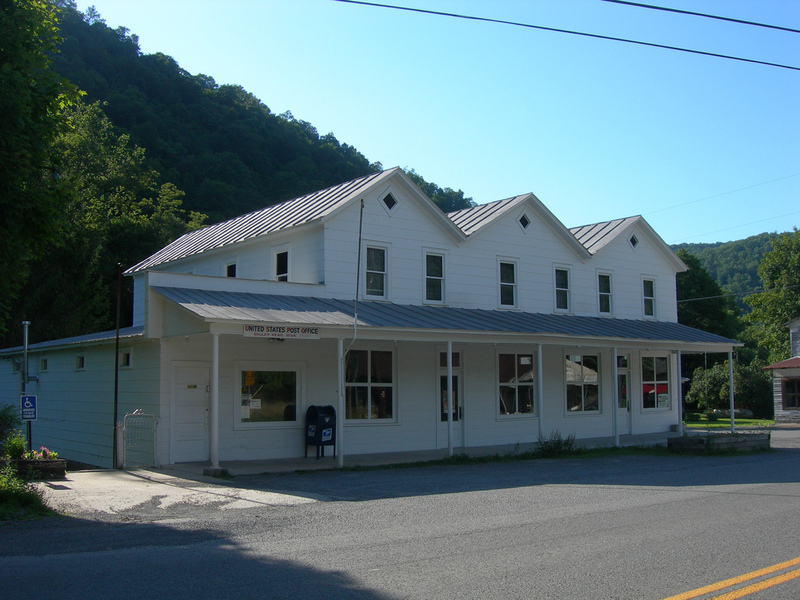 We tried to get to Elkins every 2 months or so to get staples like flour, sugar, and coffee. We went to the A&P Tea Company supermarket in Elkins. We always paid cash at Valley Head. 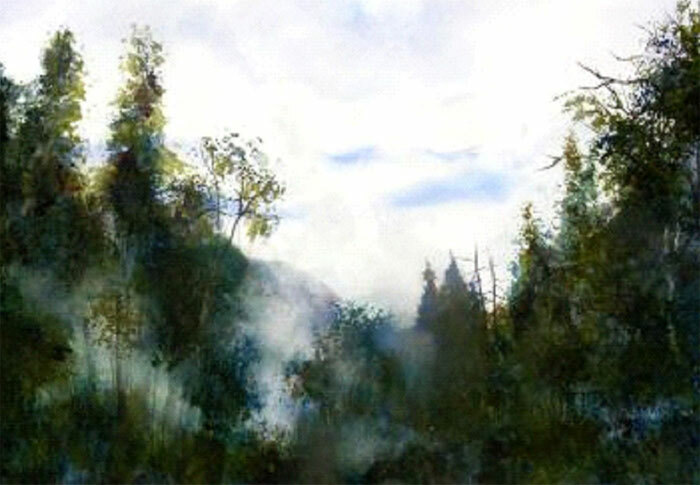 It was a coal mining area, and most miners ran charge accounts for two weeks at a time. When they were paid, they cashed their paycheck at the store and paid their account up-to-date. Of course, some didn’t - any time there are charge accounts, there are people who do not pay them. They were not “company stores” as Tennessee Ernie Ford sang about in the song “Sixteen Tons.” Company stores were owned by the mine. The miners were paid in “script” instead of cash or check. That script was good only in the company store. Many of those mines probably made more money in the company store than in the mine itself. They had a forced monopoly; the miners could not go elsewhere, and the store could charge any prices they wanted. Going to the post office was always a high priority. 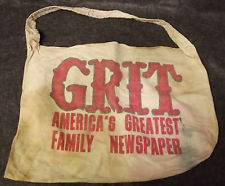 We got the mail and the Grit weekly newspaper which I read from cover to cover from about the time I was six or so. There was also the local weekly, The Randolph Enterprise. It had a column called “Uncle Ezra from Osceola” that Dad always enjoyed. I began reading it because of his talking about it and grew to enjoy it immensely. It was written in hillbilly dialect and had some real tidbits of wisdom presented humorously. 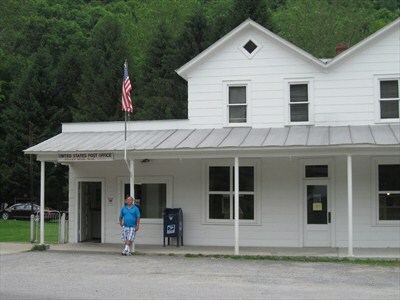 Troy Swecker was the Postmaster, and Mary Dot Heftner worked for him. They were wonderful people. They helped so many people in so many ways. Troy convinced Dad that he should sign up for Social Security and helped him with the paperwork. Then when he got a reply asking about the number of mules that he owned, Dad got disgusted with the whole thing and was not even going to respond. But Troy talked him into getting the explanation or correction completed so Dad did receive Social Security of, I believe, $30.00 per month for the last years of his life. 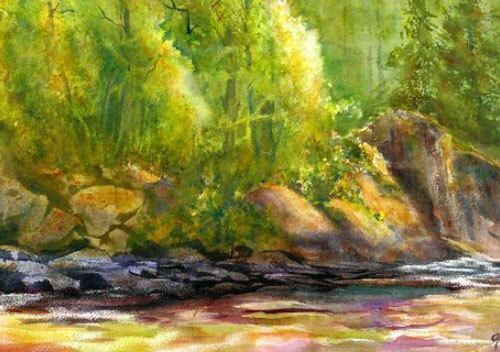 Since I was a minor, I also received a small check, I believe $10.00 per month. That helped Dad, it helped me to get through college, and it helped Mom for the 33 years she lived after Dad died. I owe Troy a debt that I can never repay; many people do. I also enjoyed just talking to him. He always seemed interested in what I was doing, and he never talked down to me - he treated me like an adult. He was an excellent role model of what a professional man should be. We usually visited Harris Morton’s store although we rarely bought anything there. He and Dad were good friends. Harris bought a beef from us on occasion. He could estimate the weight of any four-legged animal almost to the exact pound. He was almost as good estimating people’s weight. 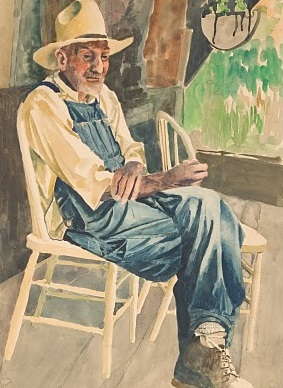 A Valley Head institution was a man named “Cutter.” He could always be found in the garage or sitting on one of the store porches. He didn’t work much, but the only person he ever hurt was himself. As I grew up, Cutter became a good friend. I’m not sure anyone not in my immediate family ever supported me more. He was a true friend, both to me and to my wife. After Dad died, Cutter worked with Mason a lot on the farm so we spent many hours together. He helped to fill the void on the farm and in Mason’s life that Dad’s death created. We usually stopped in Lester Hamrick’s beer joint. Dad started taking me there when I was 10 or less. I cannot recall anything not suitable for a child ever happening there, at least not on Saturday afternoons. There were a couple of bullet holes in the ceiling so I guess things did get a bit wild at times. Lester kept a revolver under the counter and was known to be willing to use it. He had a couple of pool tables and both a moose and a buffalo head on the wall. 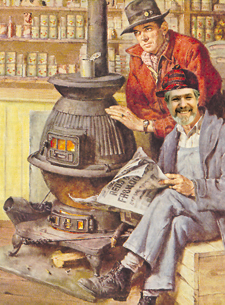 Dad and Lester were good friends. The garage was a must-stop. It was operated by Clyde and John Beale, two of our cousins. There was always a lot of fascinating stuff there for a kid. Clyde owned an antique hearse, from the late ‘20’s, I believe. He had a sign on it “EMERGENCY” and drove it in parades. They had a couple of seats from a junked car in the back near a pot-bellied stove. That was one of the primary male gossip centers in town. When Dad died, Clyde drove the ambulance to Elkins. He took a risk in transporting Dad. Clyde knew that Dad was dead, and the law precluded his moving the body. But he could not tell Mom that. He later asked Mason and I to verify that Dad’s chest moved when we lifted him into the ambulance. My favorite stop was probably the blacksmith and grist mill, all under one roof, owned and operated by Wilson Ware. His grandson, Fred Ware, Jr., was one of my best friends in high school - we’re still good friends. Wilson ground ear corn for us for livestock feed. He also ground our shelled corn into meal for corn bread. 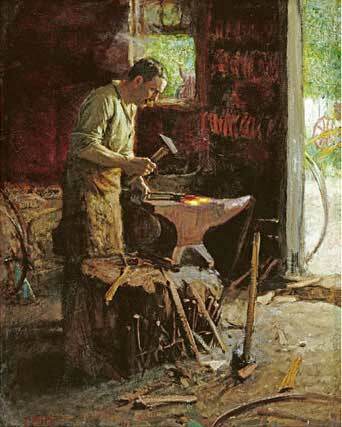 He had a forge and made or sharpened many tools for farmers. He made horseshoes, but, at least at that time, I cannot recall his shoeing horses then. He had shod horses in the Army in World War I. Wilson was the local auctioneer. 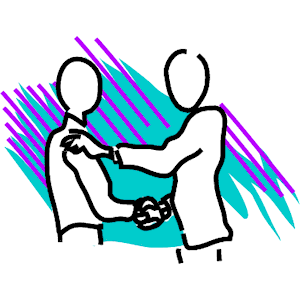 What he may have lacked in the auctioneer’s chant, he more than made up for in knowing who in the community would buy what and who liked to bid against whom. He was very good. He was the Master of Ceremonies at the monthly gospel sing at the Valley Head Methodist Church. And he always had a new story or two - rumor had it that one or two of them were even true. I loved exploring his shop and listening to him. He was a real character. 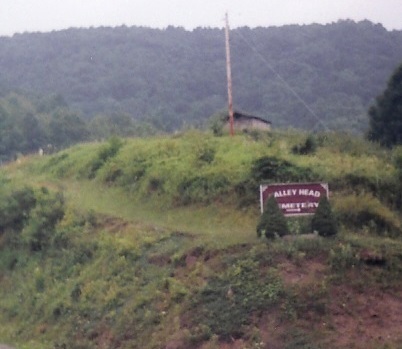 I like to go back to Valley Head for the annual homecoming on Memorial Day week-end. 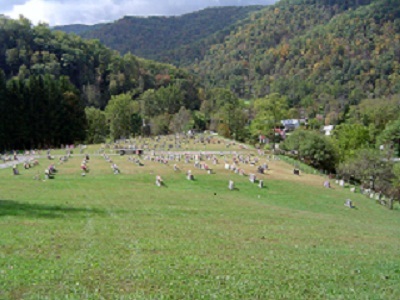 I recently spent a couple of hours in the Valley Head Cemetery. It was a bit of a shock to discover that I have more friends in that 8-acre piece of ground than anywhere else in the world. I guess that’s a factor of age. I recently got re-acquainted with Troy Swecker. We had some great conversations. I lost my father when I was 17. I have often wished I could talk to Dad adult-to-adult, something we never did. Talking to Troy was a little like that; I was talking as a gray-haired adult to a respected adult from my childhood. We had some special conversations. Troy died in January, 2008. His family asked me to do his funeral, a great honor and privilege. As I write this, I am saddened that of all the people mentioned above, only Fred Ware, my sister Virginia, my wife, and I are still alive. That is the main reason I rarely go back to Valley Head - the people I would dearly love to see are no longer there. 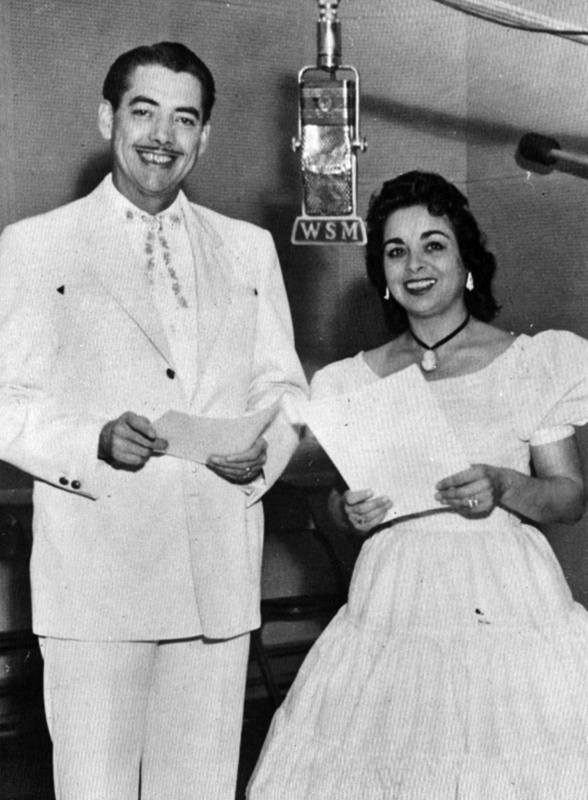 before joining the Opry in 1957. 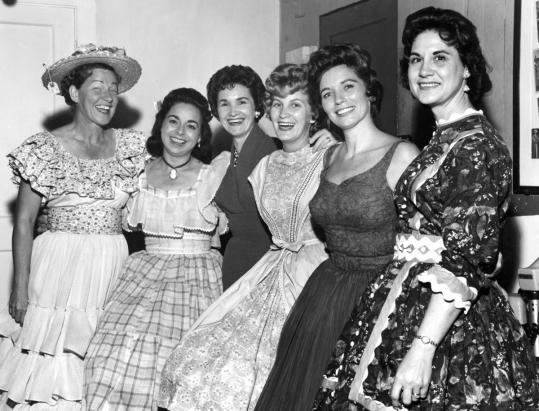 Wilma Lee Cooper (second from left) backstage in 1961 with other Opry stars including (from left) Minnie Pearl, Jan Howard, Skeeter Davis, June Carter, and Kitty Wells. 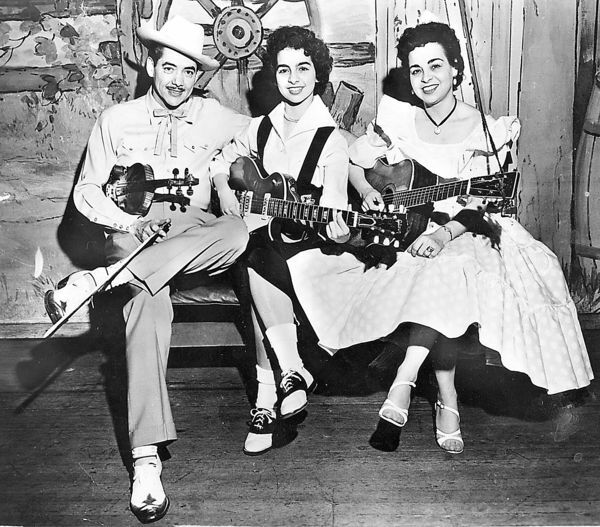 The Cooper Family are from right, Dale T. “Stoney” Cooper, Carol Lee Cooper, and Wilma Lee Cooper. 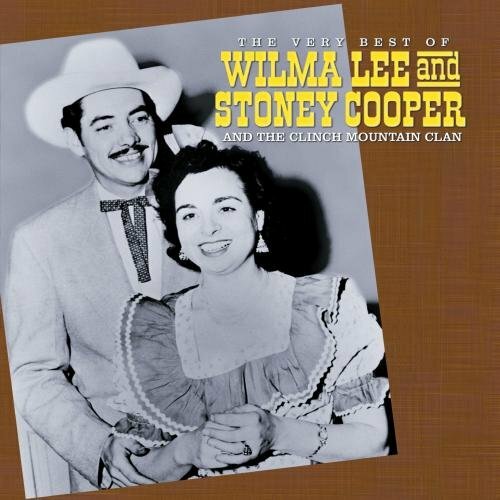 Top 5 country hit in 1959. West Virginia Music Hall of Fame.